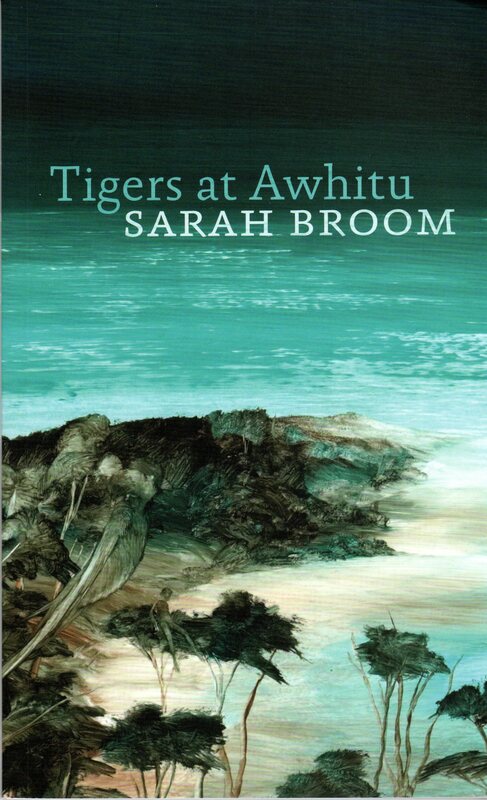 This entry was posted in Connections, Death and dying and tagged grieving, Sarah Broom, Tigers at Awhitu. Bookmark the permalink. Oh, my heart goes out to you. Thank you for sharing this. Sarah does keep traveling, and she also lives on in each of us. big hugs. Thank you Marie—your words mean much to me. Marie said it best, I agree. Thinking of you, Linnea. She did say it very well. And thank you. So sorry Linnea……..I can’t imagine how hard this must be. Thank you Roy—my heart goes out to her family. The most difficult part of networking with other lung cancer patients is the pain of losing friends to the beast. I’m sorry for your loss. Yeah, it’s a catch 22, and I have talked at length with my thoracic social worker about how to deal with losing people. I have decided that as difficult as it is (and far too frequent) to quote an old saying, it is better to have loved and lost than to have never loved at all. 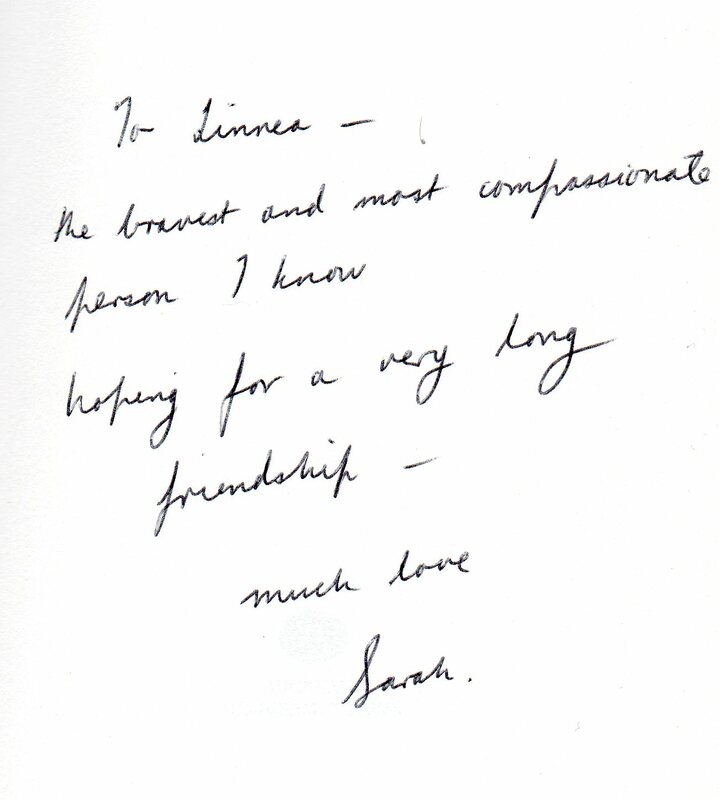 Beautiful writing- so sorry that your friend has died- her words will live on…. Thank you—Sarah’s way with words was incredible, and yes, they will be a part of her legacy. Lung cancer is awful. We feel sad when we lose a friend which I had experience last week. My friend Greg was not 50th yet and he gave me hope when I first got diag in 2010 at a local support group. He also had a young son at age of 5. We only can hold on to our memory of things that we share. Take care Linnea. Joan, I am so sorry about your loss of a friend and I am saddened for his family as well. It is tough, and frightening too sometimes. Hang on to your memories and your hope. I am sorry. Such a loss is so hard. Thank you Cheryl. It is….there is just no easy way. Dear Linnea – when I read your original post about Sarah I did not respond. What is there to say when you lose a kindred spirit but I’m sorry. It’s always difficult to say goodbye but especially so when they are young. All we can really do is find joy as often as we can, connect, embrace the good and let go of the no so good. May you find solace in the warm embrace of those you love the most.